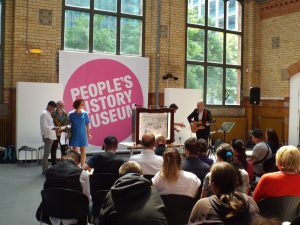 The People’s History Museum, with stories of the struggles of ordinary people, provided lots of ideas that have been expanded and explored to create Moving Panoramas. 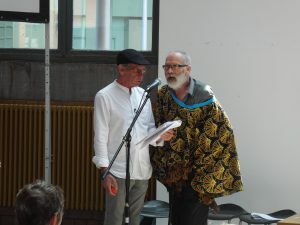 The piece performed on Monday 11th June, combined visual arts with original songwriting centred around scrolling artworks that moved together with the songs to tell a story. 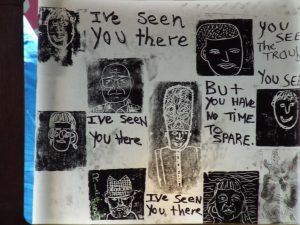 The artworks, songs and poems reflected on the past but also gave voice to experiences in the present. 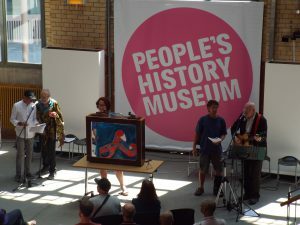 Lois Blackburn (arthur+martha) and singer songwriter Matt Hill (Quiet Loner) worked alongside people from the Booth Centre with the songs and artworks highlighting 21st century issues such as debt, living in poverty and lack of representation whilst also drawing parallels with similar struggles from the 19th and 20th centuries. 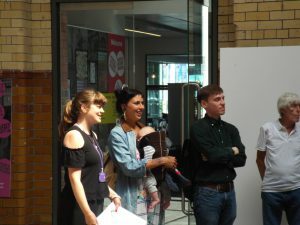 Moving Panoramas explores the rich history of the streets of Manchester and people’s own personal stories and histories. A film of the performance will be available to view online from July 2018. A film of the performance will be available to view online from July 2018.